What is a Rain Garden? Grubs are unwelcome pests that live in the soil of your lawn and eat the roots of your grass leaving brown, unappealing spots. 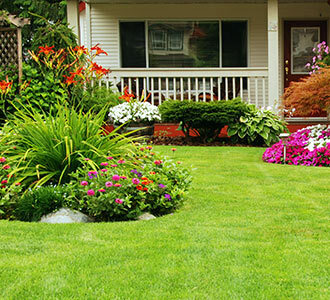 The knowledgeable staff at Greenbloom Landscape Design can treat the problem and restore your lawn’s health. Larvae of scarab beetles, most commonly European Chafer, June Beetle, and Japanese Beetle. What do Grubs Look Like? 2-4 cm long at maturity. Light to medium brown heads. Six spiny legs near the head. Curl into a C shape when disturbed. 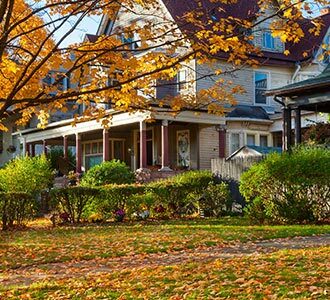 Small, irregular patches of your lawn will be dry, wilted, and brown. These areas will peel up easily from the ground as the roots have been eaten. Lifting the turf will make the grubs visible. More than 10 per square foot indicates an outbreak. Animals like skunks, raccoons and birds dig up your lawn searching for grubs. Naturally occurring, microscopic, parasitic worms that live in the soil. 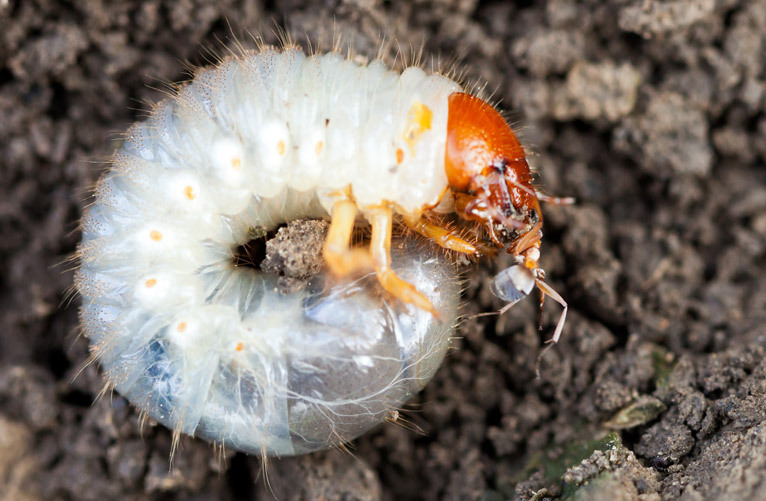 They kill grubs by entering their bodies and releasing bacteria. Does not kill all the grubs, but balances the population to eliminate damage. When is the Best Time to Apply Nematodes? In early spring, typically mid-May to mid-June and/or mid-August to October. Apply to wet soil, as nematodes will die on the dry ground. UV light kills them, so apply early, late, or on cloudy/rainy days. Do not apply when temperatures are above 30°C or below 14°C. Spray on the lawn using a specially designed sprayer for the application of nematodes. Water the soil soon after application to assist the nematodes to penetrate further into the soil as this is where the grubs live. Safe for people, pets, and the environment.